Agrimontana together with ice cream artists. 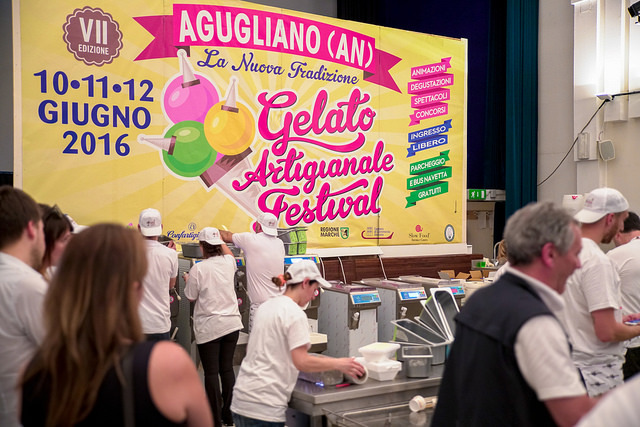 Agrimontana was last week at the Artisan Ice-cream Festival, an event dedicated to the art and taste of the ice-cream in Agugliano, near Ancona. 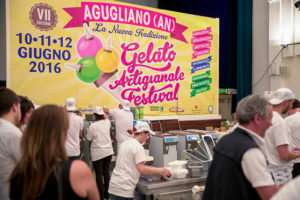 Among the Marche hills, the festival, at its 8th edition, is one of the most important events and one of the focal points for ice-cream masters around the world. For this reason Agrimontana participated with its network of professional ice-cream artists to the festival where people could compare different tastes and ways to interpret this excellence by ice-cream makers from different regions of Italy. For all the three days of the event Agrimontana had its stand in the main square of Agugliano, while the artists were in the streets of the city.